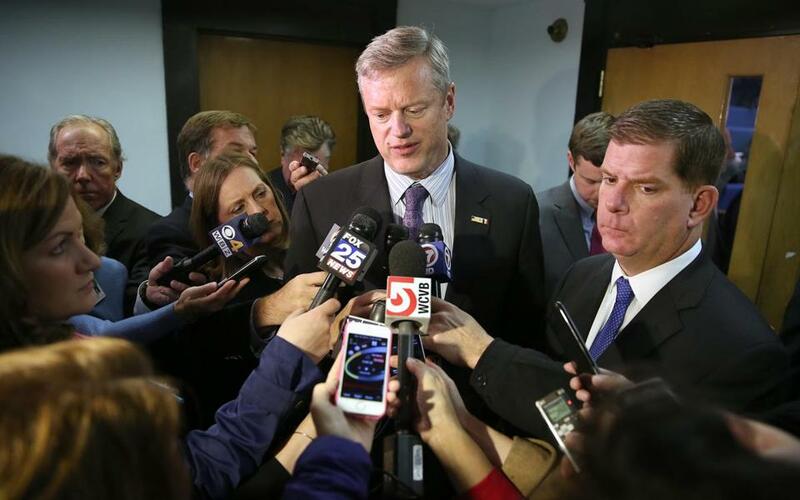 Governor Charlie Baker joined more than two dozen other governors Monday who said they did not want Syrian refugees to resettle in their states, citing security concerns after the deadly terrorist attacks in Paris. Baker’s remarks — a departure from September when he signaled support for the refugees — earned swift rebuke from immigrant advocates. Lawyers said under the Refugee Act of 1980, governors cannot legally block refugees. Around the country, the governors’ objections Monday varied from the relatively careful concern voiced by Baker to Governor Bobby Jindal’s issuance of an executive order to prevent Syrian refugees from resettling in Louisiana. Most of the governors opposing resettlement are Republicans, but New Hampshire’s Maggie Hassan, a Democrat, also said the nation should stop accepting Syrian refugees altogether until officials can ensure a strong process for vetting them. While security concerns are reasonable in the wake of a terrorist attack, this knee-jerk reaction is not. The resettlement of Syrians became a flashpoint after a series of attacks in Paris that killed about 130 people Friday, and a double suicide attack on Thursday that killed 43 people in Beirut. On Monday, President Obama reiterated his commitment to resettling at least 10,000 Syrian refugees over the next year — a relatively small number compared with European nations such as Germany, which has accepted tens of thousands. “The United States has to step up and do its part,” Obama said in a speech at the Group of 20 Summit in Turkey. Since October 2011, the United States has admitted 2,159 Syrian refugees into the country, according to the State Department, including 72 in Massachusetts. After a year, refugees can obtain a green card after undergoing more background checks, and after five years they can apply for US citizenship. Under federal law, the president, after consulting with Congress, sets the number of refugees admitted every year and the government works with the United Nations and nonprofits to resettle refugees around the United States. A White House official said Monday that the United States accepts refugees only after subjecting them to an extensive, rigorous security screening process — more stringent than any other category of traveler to the country — to safeguard Americans from terrorists. Mindful of the particular conditions of the Syria crisis, Syrian refugees go through yet additional forms of security screening, the classified details of which have been briefed to Congress, a State Department official said. Baker’s remarks Monday came minutes before he addressed a Thanksgiving luncheon for immigrants and refugees, including Syrians. Some expressed surprise at his stance, just weeks after he signaled support for the idea of having some migrants relocate to the state . “I certainly think the US ought to be part of the solution and believe most states would want to be helpful if they could be,” Baker told reporters then. 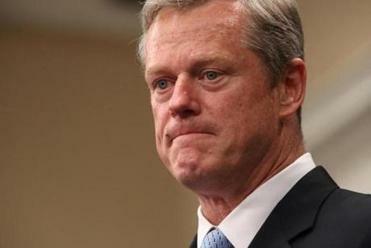 But on Monday Baker said that for now he did not want Massachusetts to accept refugees from Syria until he was certain that proper security checks were in place. “I think at this point in time we would have to be very cautious about accepting folks without knowing a lot more about what the federal government’s plan looks like and how it would actually be implemented and executed,” he said. Mayor Martin J. Walsh — who was interviewed with Baker at the State House on Monday — agreed that he wanted to know more about the federal government’s plan for reviewing incoming refugees. “We would have to see the vetting process and what’s happening with the vetting process,” Walsh said. But later in the day, Walsh seemed to backtrack. “As a city and as a country it is not our custom to turn our backs on people who are in need and who are innocent,” he said in a statement. Several Massachusetts elected officials, all Democrats, urged the GOP governors to welcome refugees, even as they stressed that the newcomers should be subject to the strictest security checks. “We should not close our hearts or our doors to the women, children and families that are fleeing the Middle East to escape war and the daily terror, violence and chaos it brings,” said Senator Edward Markey, who has called on the United States to accept at least 65,000 Syrian refugees. Representative William Keating declined to say whether Massachusetts should refuse to accept Syrian refugees. But he called for tougher security in Europe and urged more sharing of information. More than 200,000 people have been killed in the war in Syria, where civilians have suffered bombings and other attacks by the Islamic State as well as by their own president, Bashar Assad. “It would be unfortunate if refugees are scapegoated rather than protected,” said Jana Mason, a spokeswoman for the United Nations High Commissioner for Refugees in Washington. At the Massachusetts Immigrant and Refugee Advocacy Coalition’s annual Thanksgiving luncheon Monday, Amira Elamri, a Syrian seeking asylum in the United States with her husband and two children, recalled that her family lived a “fancy lifestyle.” She was a preschool teacher. Her husband ran a tourist agency. Then in 2011 the war began. They sought refuge in a high-rise apartment building, climbing the stairs to the 15th floor with her young children because they rarely had electricity. “People in our building started to be killed, one by one,” she said. She said her 67-year-old mother fled to Tunisia and wants a visa to visit her grandchildren, but she hasn’t been able to get one. “They’re not allowed to be here, and I really do miss my mom,” she said, choking up. After her speech, she told reporters that not all Syrians are ISIS. “We are also attacked by ISIS,” she said. Matt Rocheleau, David Scharfenberg, Jon Chesto, and Brian MacQuarrie of the Globe staff contributed to this report. Maria Sacchetti can be reached at maria.sacchetti@globe.com. Follow her on Twitter @MariaSacchetti. Tracy Jan can be reached at tracy.jan@globe.com. Follow her on Twitter @TracyJan.